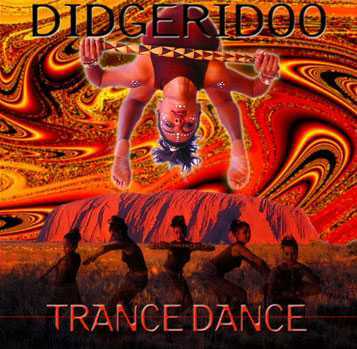 Charlie McMahon, whose band 'Gondwanaland' was the first didgeridoo band formed in 1981, produced the first didgeridoo-based contemporary recordings. Charlie always loved the didgeridoo and took up playing the instrument as a child. Over time, he learned how to tune didgeridoos and experimented with different sounds and pitches while jamming with local bands. In 1984 Charlie collaborated with Peter Carolan on what they called the 'Gondwanaland Project', an instrumental album called 'Terra Incognita'. The project was a hit and Gondwanaland, now joined by percussionist Ed Duquemin, went on to release a further four albums. They toured the outback and hold the record for Australia's largest live performance: The Sound Cloud performance to 120,000 people in 1988. The didge was given international exposure when Charlie first toured the USA and Canada with Midnight Oil in 1984, and then again the USA, Europe, South Africa, Australia and New Zealand in 1994. He performed and recorded on albums with Midnight Oil, Snakefinger, Janes Addiction, Hisashi Shirahama, Ed Kuepper, Ted Egan, John Williamson, Sunrize Band and Def FX. In 2000, Gondwana performed at the World Expo in Hannover, and in the Opening Ceremony of the Sydney Paralympic Games. Aboriginal elders in the Northern Territory complimented Charlie McMahon `for inventing interesting and complex new ways of playing didjeridu`. In particular the concepts of didj horns in 1996, pitch shift didjeribone in 1981 and face bass in 1997 are Charlie's inventions which have been widely adopted by didj players. Thanks to Charlie's efforts the wonderful rhythms and tones of the Australian didgeridoo can be enjoyed by people from around the globe. Pumping rhythms of the wild... droning, eternal voices of an ancient future. exotic nature sounds and rapid-fire percussion create an inter-dimensional journey into mindless spirit. 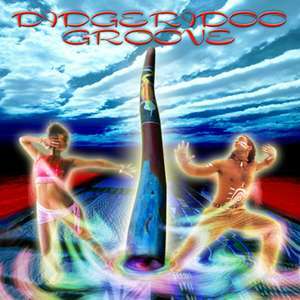 Take a trippy voyage through world-beat ancestral tones, where dreamtime and modern spirit meet in didgeridoo music with velvet grooves, tribal voices, ambient trance and timeless harmonies. Spellbinding didge rhythms from today's most gifted players and re-mixers in the tribal, trance-dance, world-fusion, groove and chill-out scene.